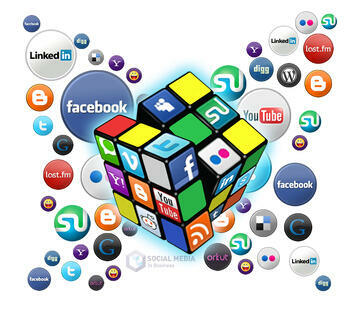 Content Marketing: Can You Outsource Your Social Media? We are considering outsourcing social media. I would be interested in hearing affordable recommendations and/or pitfalls in this pursuit. My first (sales) thought was, “Wow! Great opportunity here, I just need to word my answer correctly and soon I’ll have a sales qualified lead.” Now, I’ve had some success with social selling, where conversations like these turn into opportunities, so it seemed like a reasonable thought. I firmly believe that SMBs have a tremendous opportunity and advantage that most are completely missing. SMBs are closer to their customers and far more flexible than their larger competitors. They’ve got more personality and have the ability to focus their message to resonate with their target audience. Inbound marketing is built for them, but most are missing the boat. The reality is that asking the question, “can we outsource our social media” is most likely the wrong to question to be asking. Social media is among the last steps of an effective content marketing strategy, yet organizations treat it like it’s the first. I have a friend who owns a nice little business. He got really excited about social media, telling me that it gave him the “microphone” he needed. Yet, all of his posts were him quoting himself. Now I realize that this certainly moves to the edge of the narcissistic scale, but the reality is that many SMBs practice an approach like his. They act as though people are standing around waiting for them to tweet their wisdom. The truth is that the world doesn’t need you on social media, but you need them. The most important thing to understand about social media is that it is, in fact, a microphone. It will amplify whatever sounds you are creating. What this means is that if you’re broadcasting relevant content, it will heighten results (we have clients that are getting as much as 20% of their qualified leads from social media). But, if you don’t have content that resonates then you’re merely broadcasting white noise, and annoying your audience. A clear definition of who you are trying to communicate with? An effective content development strategy. The consistent development of valuable content in alignment with the first two points. With these three elements in place social media is a valuable tool, and the execution of the approach can be delegated or outsourced. However, if all three elements aren’t in place, regardless of who implements that program, it will fail.